A RARE opportunity! 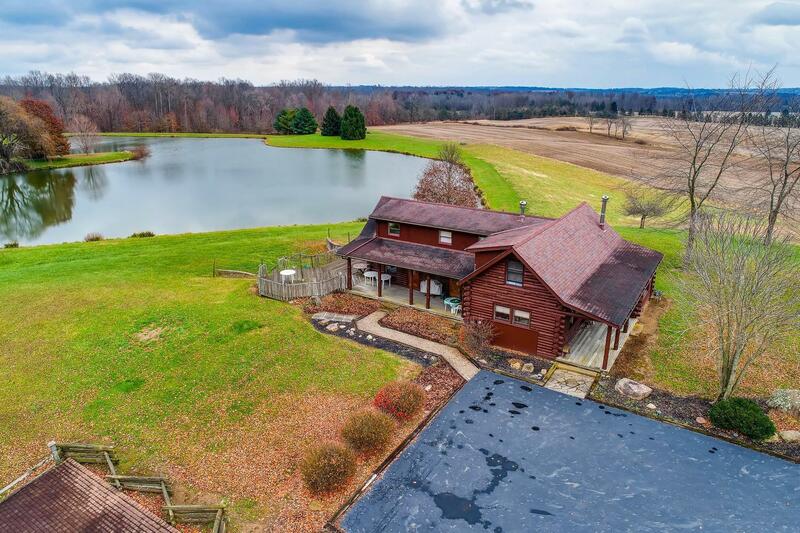 Spectacular property with beautiful acreage in Licking County. The log home is beautifully situated with complete privacy on 92.99 gently rolling acres. Simply put - there are breathtaking views of the surrounding countryside incl the private 4-acre lake. Home offers a mixture of rustic appeal & quality craftsmanship. Open GR w/ a vaulted area featuring log beams & a wood burner. Lovely FF BR/Den. Formerly a winery, the walkout Lower Level offers an abundance of versatile space for a workshop, sports enthusiast, XL Garage or home business. Nice conveniences incl 2 dumbwaiters, whole house generator, gas line installed (2015), 2 Baths in the LL and HW floors. Rhino Shield (2013). Large pole barn w/ 2,646 SF. Must see to appreciate all this home has to offer.